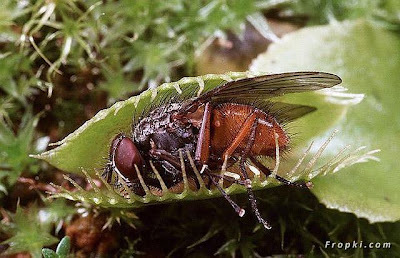 The insectivorous (carnivorous) plants are representatives of the Kingdom Plantae, the Division Anthophyta, are located in both Classes Dicotyledones and Monocotyledones , span 6 Orders, 9 Families and 595 species. 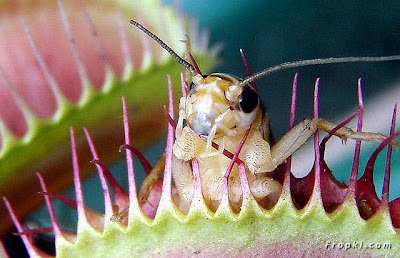 They provide interesting examples of plant morphology and environmental adaptation. Here you'll find general and scientific information, growing tips, images, further reading, and resources on these mysterious plants. 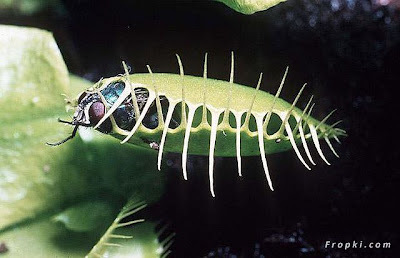 The Venus Flytrap (also Venus's Flytrap or Venus' Flytrap), Dionaea muscipula, is a carnivorous plant that catches and digests animal prey—mostly insects and arachnids. 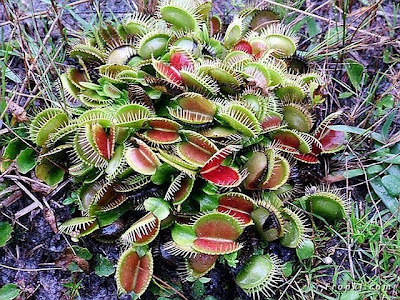 Its trapping structure is formed by the terminal portion of each of the plant's leaves and is triggered by tiny hairs on their inner surfaces. 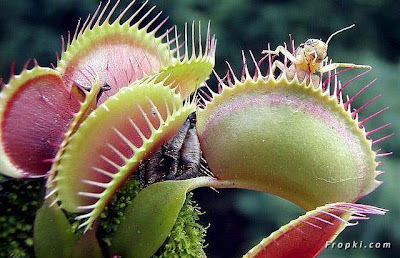 When an insect or spider crawling along the leaves contacts a hair, the trap closes if a different hair is contacted within twenty seconds of the first strike. The requirement of redundant triggering in this mechanism serves as a safeguard against a waste of energy in trapping objects with no nutritional value.